309968 is a name of sailing boat Bavaria Cruiser 46 ,which has been manufactured in 2014. You can rent this vessel from harbor Paros around Cyclades. 309968 is furnished with 9 beds. Sleeping places on the sailing boat are arranged in 9 (8+1) scheme. 4 cabins are situated inside the yacht 309968. 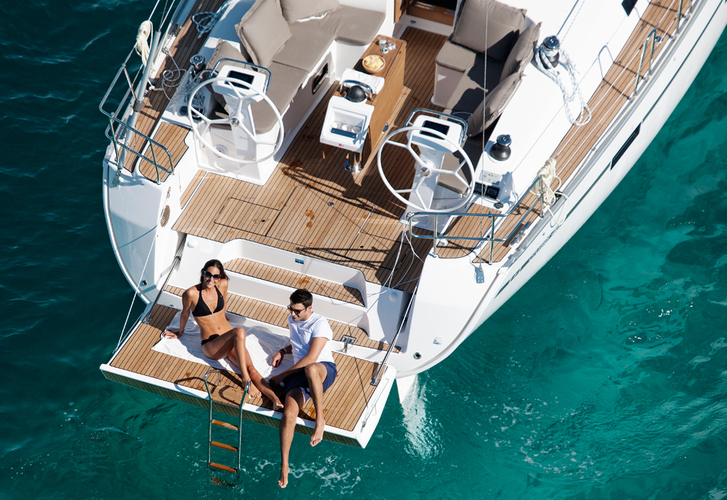 Search for more search results under the link: Yacht charter Cyclades. Passengers can feel good on this sailboat , because there are 3 bathrooms for their disposal. With 210.00 l l. in fuel tank you can sail really far and still be independent because of 460.00 l liters in water tank. 309968 is equipped with engine 55 HP. Sailboat's dimensions are: LOA - 14.20 m , beam - 4.35 m and 1.85 meters of draft. Nonrefundable caution accounts for 0.00 EUR. In our search machine you can quickly check avalailability of sailing boat 309968 from Paros in section: Yacht charter Greece.